Every once in a while I come across a recipe and go “MUST MAKE NOW!” I saw the recipe for these delectable little delights on Wednesday, and made them on Saturday. That’s pretty fast for me! I mean, I have a mere 102 desserts bookmarked on My Delicious just waiting for me to make. There was just something SO enticing about the combination of a peanut butter cookie and puppy chow (or muddy buddys, or white trash mix, whatever you want to call it, it’s NOT dog food!). The thing is, I’m really trying hard NOT to eat desserts for a while. To gear up for a 4th of July weekend on the lake, I’m doing a fitness program called “Making the Cut” by Jillian Michaels. It’s an incredibly intense 30 Day workout program. She also has a meal plan, but because of my wacky schedule, it would be too hard to follow. I AM limiting or avoiding alcohol while doing the program. But it’s summer, so I’ll let myself live a little here and there. I can’t make it through the month of June without desserts or cocktails!! You might be surprised I made this. I mean, the first ingredient is Betty Crocker cookie mix. 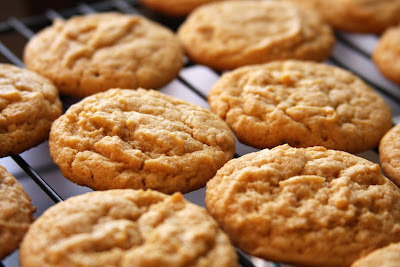 I thought about skipping the mix, and making some from scratch, but I can’t find the perfect peanut butter cookie recipe I misplaced. I don’t regret using the mix, because these are a bit time consuming after the cookies are done. I don’t want that to discourage you from trying these. 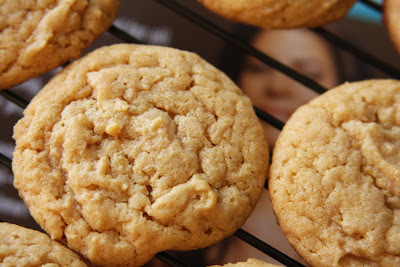 They really aren’t hard, it just takes a little time to coat all the cookies and toss them in the sugar because you have to do it in batches. They are worth every bit of effort, trust me. Because I was limiting my desserts, I was saving myself one to try until later in the day after dinner. But in order to get a picture while there was at least a little light, I asked The Boy to be my taste tester and bite into one. All he said was “Mmm. Pretty good.” That’s it. No excitement, nothing. A couple hours later when I ate one, I bit into it, and immediately said “OH MY GAAAWD! This is SO GOOD! Why didn’t you tell me they were this good?! ?” To which The Boy replied “Yeah, they are pretty good aren’t they?” He then proceeded to eat two of them. They were JUST SO GOOD, I didn’t trust myself with them in the house and sent them off with The Boy Sunday morning when he went into work a telethon at the TV station. 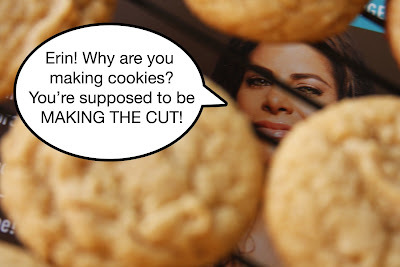 (This was the planned intention of these cookies anyway). There were just enough of them left after the telethon to bring into my buddies at work. Ok, I’ve rambled on long enough. Here’s the recipe for the YUMMY YUMMY treats! Shape dough into 1-inch balls. On ungreased cookie sheets, place balls 2 inches apart. 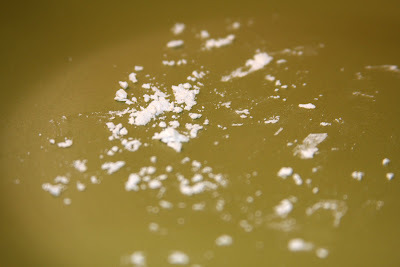 Place 1 1/2 cups powdered sugar in 1-gallon resealable food-storage plastic bag; set aside. Place 12 cooled cookies in large bowl. 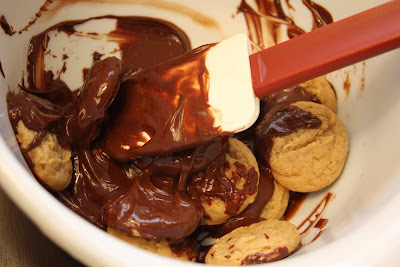 Pour 1/3 of chocolate mixture over cookies in bowl. Using rubber spatula, toss cookies gently to coat. 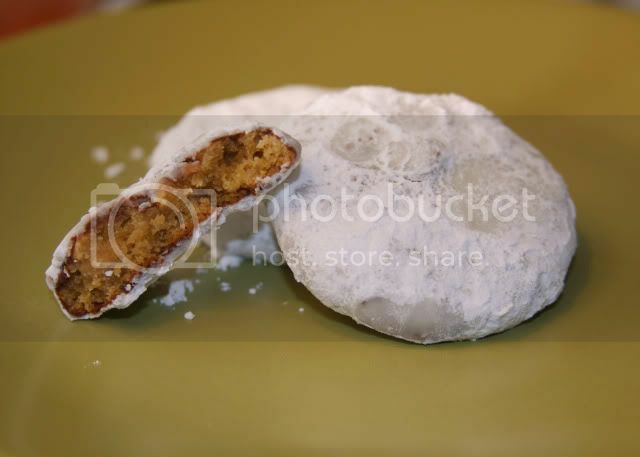 Place cookies in bag with powdered sugar; seal bag. Gently turn bag to coat cookies. Remove cookies from bag to cooling rack to set. Repeat with 12 more cookies and 1/2 of remaining chocolate mixture; repeat again until all cookies are coated, adding additional powdered sugar to bag as needed. Wow, I will be trying these soon! Jesus Christ on a cross, my husband would love these! Thanks for sharing. Thanks for the Cookies!! They were delicious!! I only had one also. When The Boy described them to me I knew I would not be able to pass one up. I can’t believe you beat me to these!!! 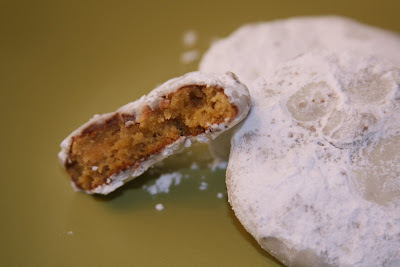 This is so my kind of cookie and I will probably break down and make them this weekend!!! YUM! I am so making these soon. My husband would LOVE them. And LOL at that last pic. Ha! We call it puppy chow – what a creative idea, they look fantastic! 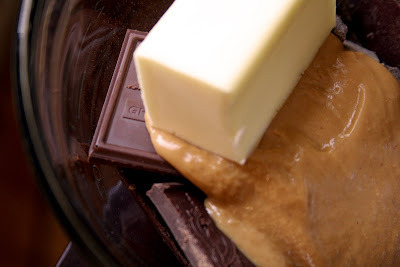 Chocolate and peanut butter, such an unbeatable combination. The cookies look fantastic! Those look REALLY delicious! I am in Nashville too and just stumbled across your blog, wanted to say hi! LOL! Love that last photo. They do look and sounds yummy. The only time I'm truly fond of chocolate is when it's with peanut butter.